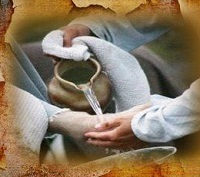 Maundy Thursday in Unity is an acknowledgment and celebration of the Upper Room experience that Jesus shared with His disciples the night before He was arrested. 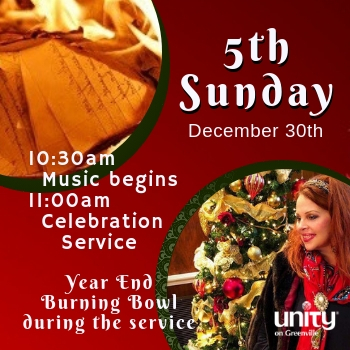 Join us as we share the deep meaning of the “Last Supper” in sacred Unity ceremony through a traditional foot-washing ceremony and spiritual communion. Join us as at Unity on Greenville as we explore the metaphysical meaning of the crucifixion. How can we relate to its core meaning? How do we transform our lives through the fire of its creative action? Good Friday was the darkness before the dawn--the dawn of an awakened humanity. The Spirit of Jesus the Christ lives and His teachings live because of the events of Easter weekend. We all have Good Friday moments in our lives when seemingly all is lost. But then, when we turn to God, our lives are resurrected–there is new faith and new belief about our future journey, a fresh joy in being alive. The compelling power of Easter presents a new vision of overcoming, reawakening and rebirth, and ultimately rising above the human experience. The powerful Easter message of Jesus continues to be that "I am YOUR resurrection and YOUR life. You live in me because, like myself, you live in God. And everyone lives in you, as you live in everyone." Friends, let us celebrate the risen Christ, a symbol of joy, the sign of peace and realize beyond any doubt that we are resurrected into God's life, light and power as we live in unity with the indwelling Christ. Join us for Evolution of The Christ. Join us for the meditative experience of the ancient spiritual custom of the labyrinth. As we walk the path inward to the center of the labyrinth, we relax, center and allow ourselves to release distractions that get in the way of your spiritual journey. Arriving at the center of the labyrinth is symbolic of your inner truth, your divine. Spending time within to hear guidance is a gift of the labyrinth. As you leave the center you may wish to reflect on what you have experienced and bring with you as new insights or new understanding. Join us for a guided meditation and reflection on Jesus’ journey to Jerusalem. We will explore the process of the journey of Jesus and the disciples and the significance of Jesus’ welcome into the city. What may have been their thoughts, feelings and what were they anticipating as they began this significant life journey? 720 W. Lookout Dr, Richardson, TX 75080. We will meet at the temple for a very special Passover service followed by lunch and community gathering. You are welcome to leave the service at any time if you are not able to stay for the duration of the service and lunch. This is a wonderful opportunity to be in communion with our Jewish friends.